Lode Doomer game - a classic arcade game! 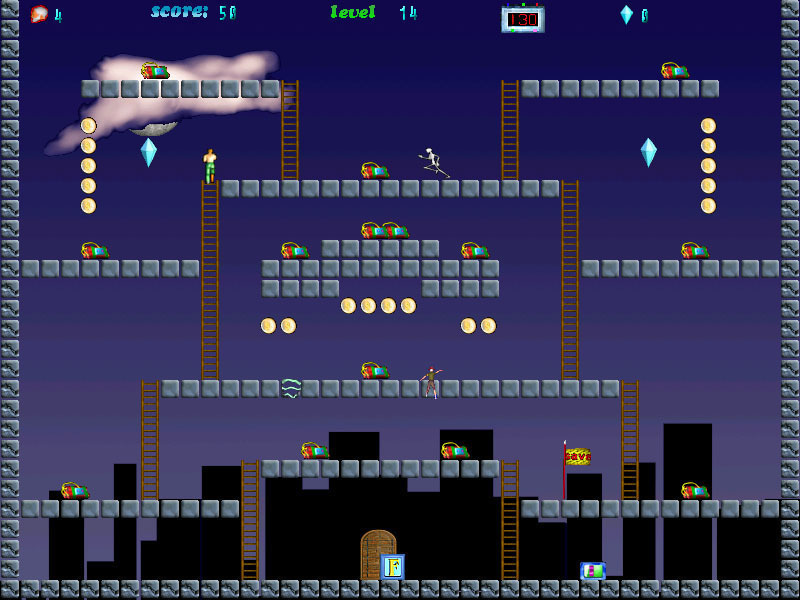 Lode Runner remake. 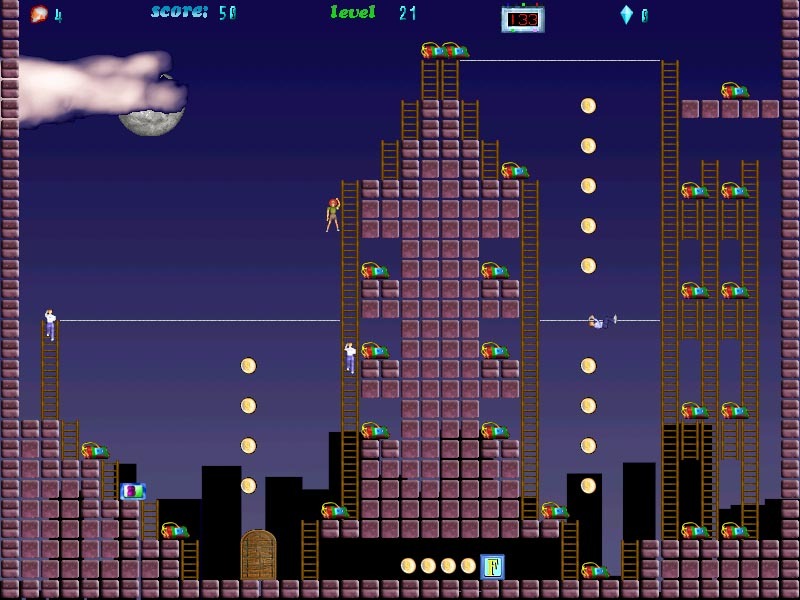 Lode Doomer is a variety of usual Lode runner game, but monsters in this lode doomer game more cleveres than in original.You need to collect all bombs in order to get access to the next stage.But various monsters will prevent you. The Good reflexes, sharp wit, playing skill are need to you to will help your hero on many levels. Moreover, timer ruthlessly will count out time before explosion. You can Save and Load your game. Lode Doomer game has nice music. The game has beautiful 32 bit 3D rendered animated graphics. 50 levels having various difficulty. 70 levels different difficulty (20 new levels). QuadroNoid - The Magic Worlds is an absolutly new remake of popular arcade game Arkanoid (also known as BreakOut) !